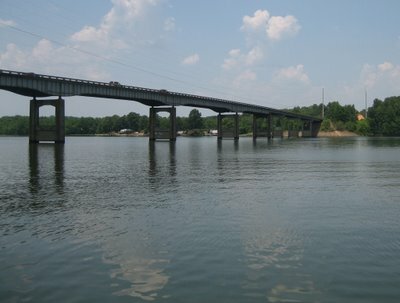 This is the view of Pell City from the Talladega County bank of the Coosa River. 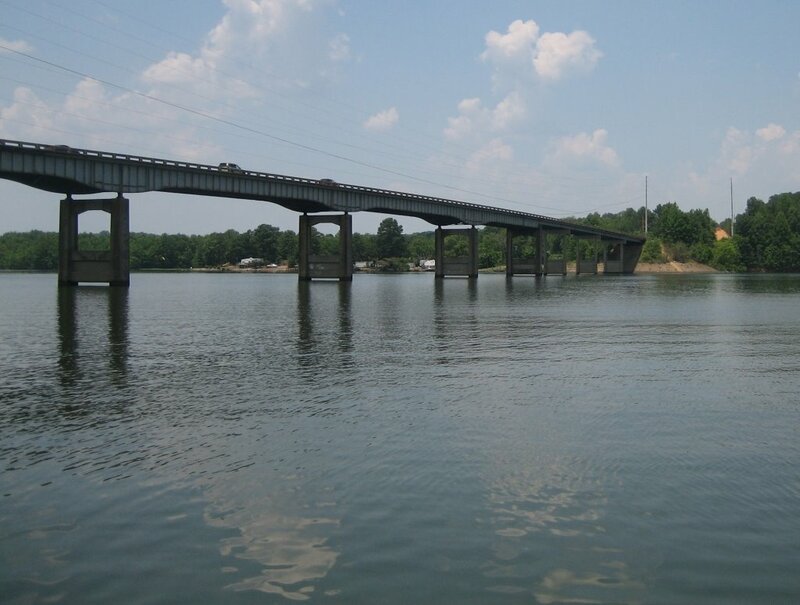 From here one can get to Pell City by taking HWY 34 and crossing Stemly Bridge. From what I have been told, the bridge is not quite as old as Lake Logan Martin, which was flooded in the mid 60s. I also heard that this bridge is an improvement over the older road a little to the South. Way back when, the automobile traffic could use the railroad tressle, provided of course the train to the quarry was not coming through. Thanks to TSB for the tip and BJB for the history. ok, i am so excited to see this picture!!!! i used to live on the lake and we would often walk(in the fall when the water was down) along the bank all the way to this bridge. i even got engaged with this bridge in the background. aaaahhh great memories! thanks! How long, marie, will I have to live here to have as many happy memories as you? Go to the PC Library and Ask for "Images of America Around Stmley Bridge" IT is in the Alabama Section 976.5 it has a great history for that Area.